Anyway, it's that time of year again, if you can believe it, to start the 12 Weeks of Christmas Cookies, being hosted this year by Brenda of Meal Planning Magic. Now, we just got running water back temporarily last night, and for real this afternoon, so suffice it to say I haven't exactly had time to whip up a batch of something yummy, take pics and write up a blog post about it, so I'm going to go back in time to last year and remind everyone about one of my favorite holiday cookies, the Chewy Ginger Snaps. I've already got a list of goodies I want to make for this year's blog hop, and in the meantime enjoy what everyone else has been working hard on! 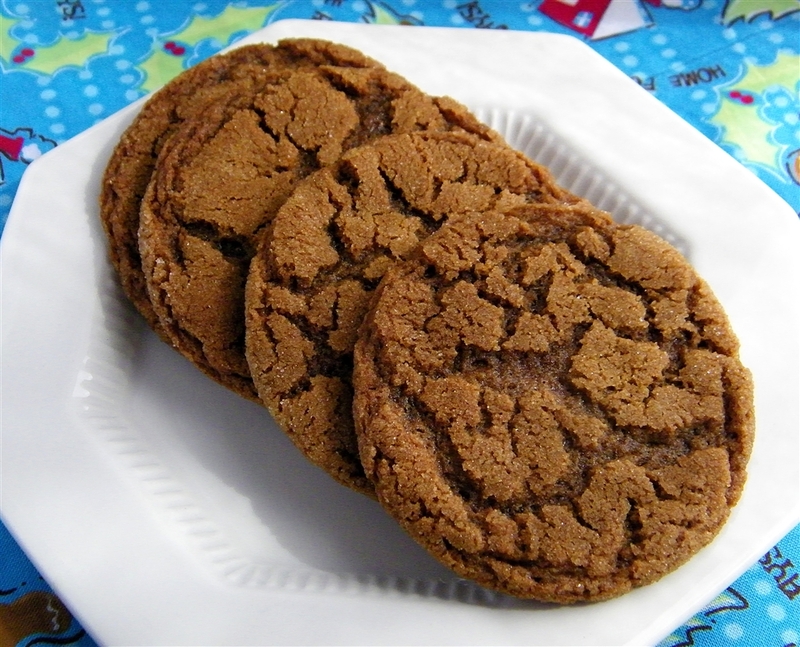 Katy, the ginger snaps look fantastic. I cant wait to get my hands on some molasses. Great pick as we start the 12 Weeks. Sorry you weren't able to make something new, but you have some darn good excuses! Hope things start working out next week for you.